ASUS has slashed the price of the Zenfone Max ZC550KL by Rs. 1,000, in India. The phone which was previously retailing for Rs. 8,999, is now available for Rs. 7,999. The phone was launched a year ago at a price of Rs. 9,999, which was followed by a price cut prior to this one. The device sports a 5.5-inch 720p HD IPS display, and runs on Android 6.0 Marshmallow with Zen UI. It is powered by quad-core Qualcomm Snapdragon 410 processor, with 2GB of RAM. The device has 16GB of storage and supports up to 64GB of expandable storage via a microSD card slot.The Zenfone Max has a 13 megapixels rear camera with Laser Auto Focus and Dual LED Flash, and a 5 megapixels front camera. The device is backed by a 5,000mAh battery. The price drop for the ASUS Zenfone Max ZC550KL will be reflected on Flipkart, Amazon, Snapdeal and major retail stores and Asus Exclusive Stores across India. 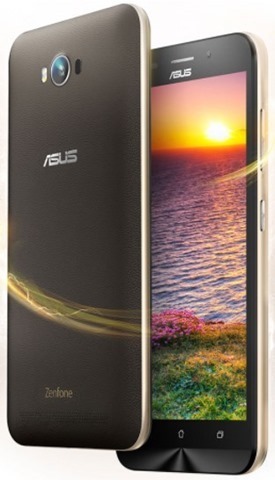 This price cut follows hot on the heels of the ASUS Zenfone 3 Max ZC553KL price cut about two weeks ago., which saw a permanent discount of Rs. 2,000 effectively making its retail price drop from Rs. 14,999 to Rs. 12,999.